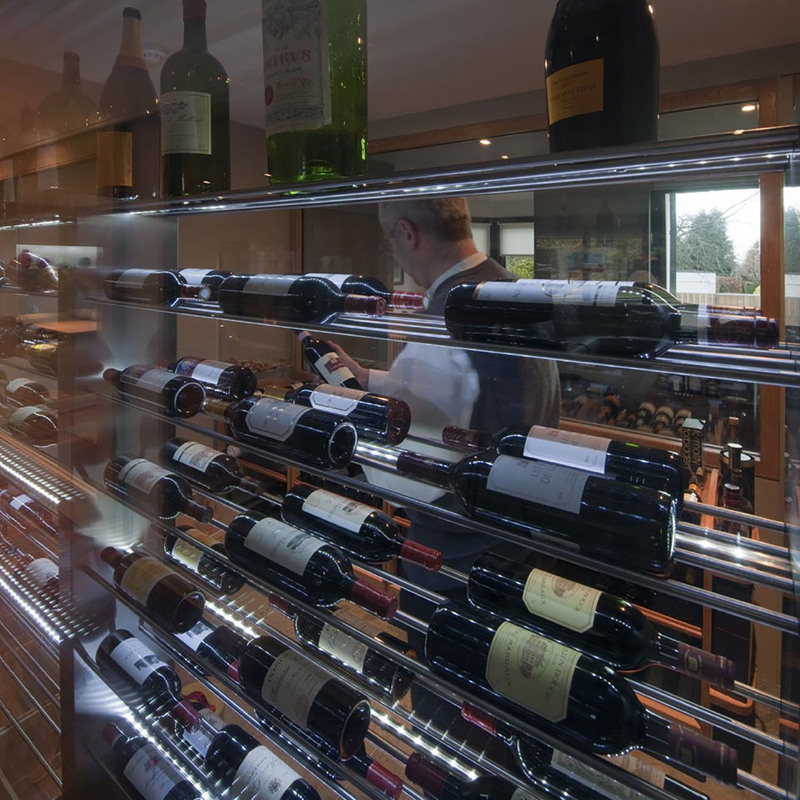 When Viv and Mark Harris moved back to Edinburgh recently from Hong Kong they had one specific wish for their new kitchen – that it provided lots of light having been spoiled by a very light kitchen in the warmer climes of the Far East. The house they chose was rather warrenlike and dark so they decided to reconfigure the layout. The biggest challenge was re-siting the kitchen at the back of the house to make full use of the light from the garden. This presented us with a challenge but also a great opportunity to create a really stunning kitchen. 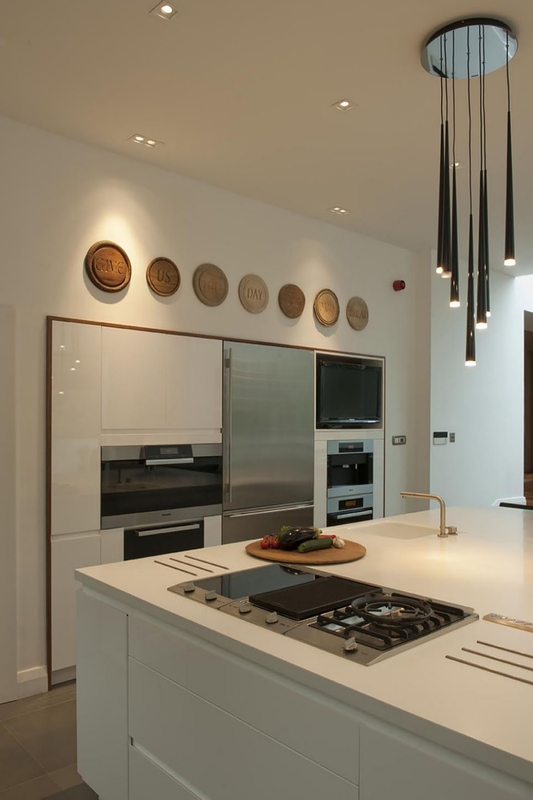 The idea was to create a very light room with a contemporary feel for the kitchen. 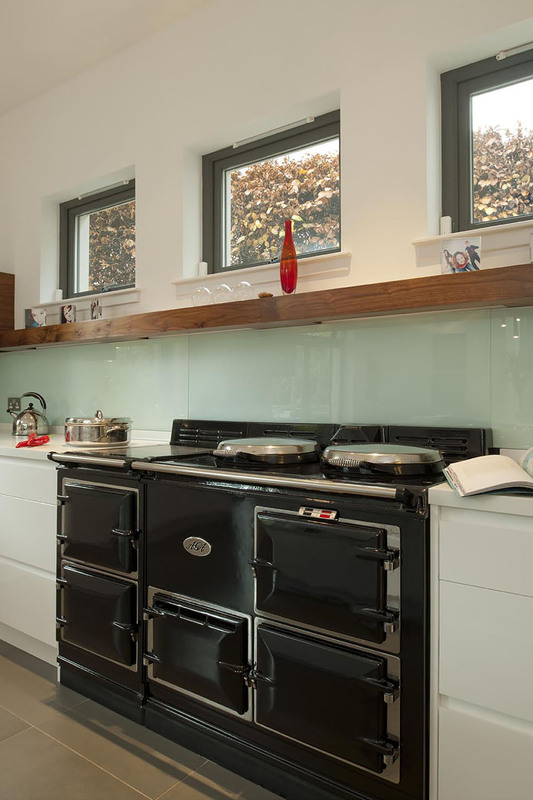 We designed the kitchen in the new extension, while the old kitchen became the scullery. This would give the Harris the light and open plan feel they longed for. 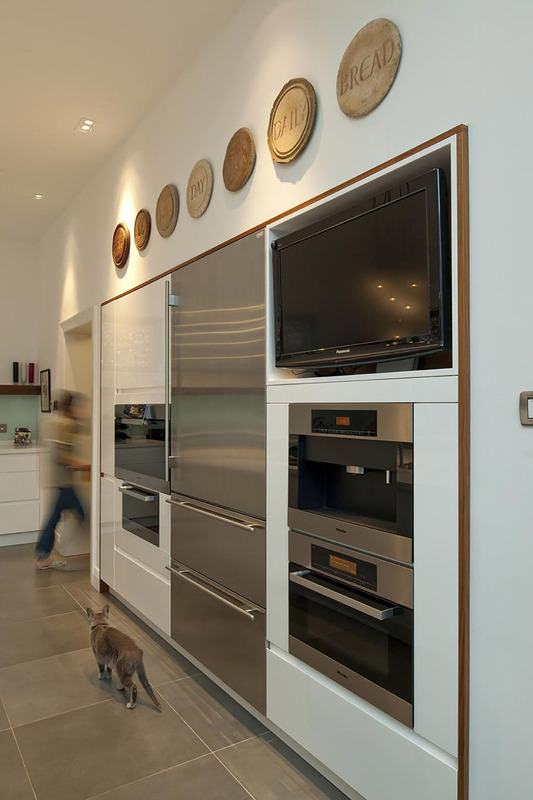 We suggested simple, streamlined white handleless Parapan cabinetry which was then finished with book matched horizontal walnut accents, designed to add warmth and interest. 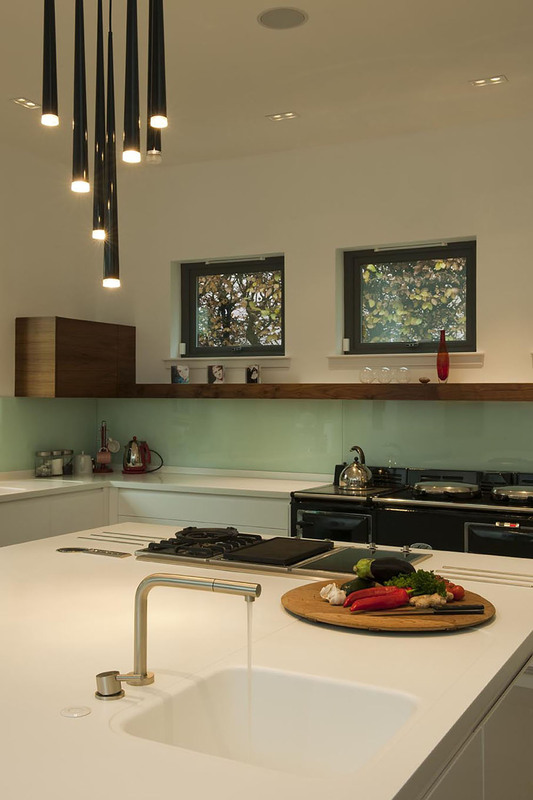 We provided Corian Glacier White worktops and sinks and the palest minty green glass splashback to add to the cool elegance, whilst a homely Aga added warmth and contrast, which was required having lived in the tropics. 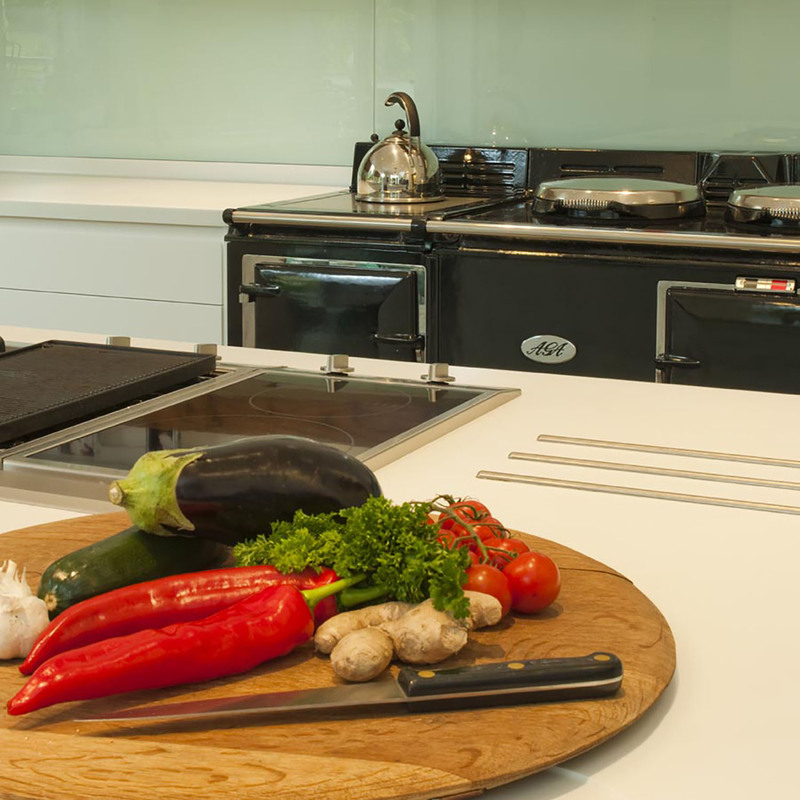 A large island provides an eye-catching centrepiece allowing Viv Harris, who is a keen cook and entertainer, a place to prepare food and entertain at the same time. The kitchen was all the Harris longed for. 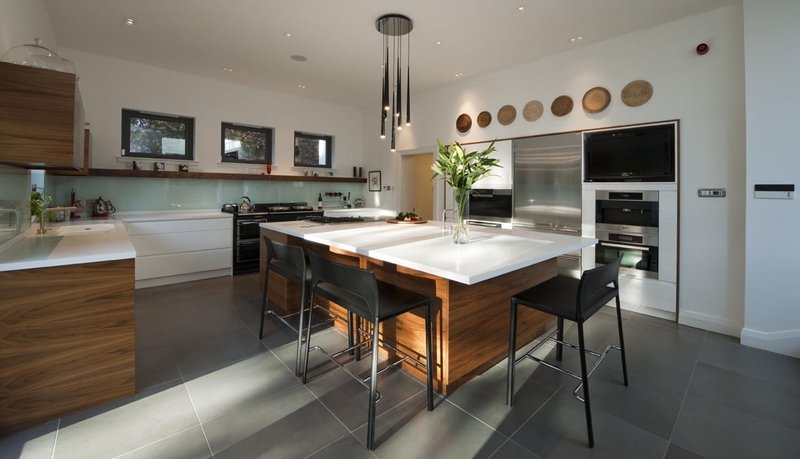 For such a specific brief we provided a warm, stylish kitchen that is the centrepiece of Harris family life.